Sharon A. Jones. Photo courtesy of University of Portland. From an April 8, 2019, news release. The University of Washington Bothell has named Sharon Andrea Jones as its new vice chancellor for academic affairs (VCAA), effective July 15th. At UW Bothell, Jones will succeed Anita K. Krug, who has been serving as interim VCAA since August 2018, following the departure of Susan Jeffords, who had held the post since 2007. “During the entire search process — and particularly during the campus visit — it became clear that the UW Bothell community fully embraces its mission to provide access and opportunity for a diverse range of students within a premiere interdisciplinary and student-centered environment,” Jones said. One of three vice chancellors, the VCAA drives the development and implementation of academic policies and procedures and leads efforts to enhance the campus culture for faculty and staff. Jones will be the chief academic officer on campus, overseeing UW Bothell’s five schools: Business, Educational Studies, Interdisciplinary Arts & Sciences, Nursing & Health Studies, and Science, Technology, Engineering & Mathematics. She will also administer numerous student-success programs and offices on campus. Prior to her position at University of Portland, Jones served as a professor and director of engineering at Lafayette College, a private liberal arts college based in Easton, Pennsylvania. Jones received a doctorate from Carnegie Mellon University in engineering and public policy, and a bachelor’s degree from Columbia University in civil engineering. 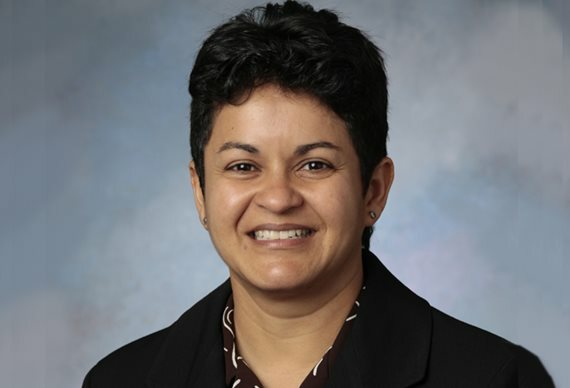 She is currently the principal investigator for a National Science Foundation project focused on retention of at-risk students in computer science and engineering. Jones also has worked as a professional engineer. Jones was selected after a search led by Phil Akers, UW Bothell’s vice chancellor for advancement and external relations; and Gowri Shankar, an associate professor of finance and chair of the General Faculty Organization.